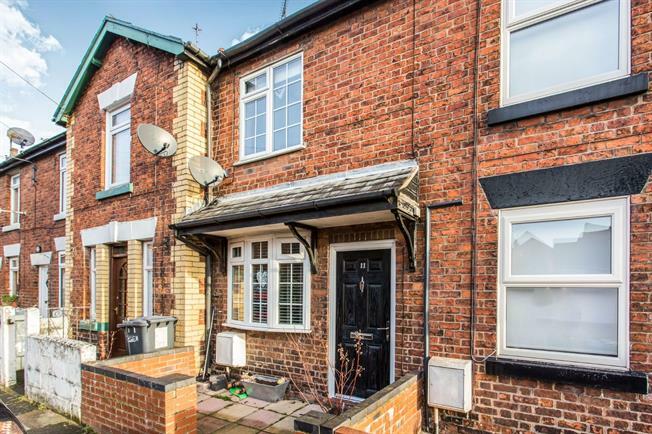 2 Bedroom Terraced House For Sale in Sandbach for Offers in the region of £125,000. Ideal for a first time buyer this two bedroom terraced house offer ample living accommodation and is ideally located for access to Sandbach town centre. Locally to the property there are a good range of local amenities and facilities including shops and schools. The historic market town of Sandbach also provides a wide and diverse range of shops, supermarkets and place of local interest. The property comprises of lounge, kitchen diner and bathroom. To the first floor there are two bedrooms. Outside the property there is a courtyard garden to the rear. Viewing recommended.